Like every year, Vainstream festival is hosting a warm-up show at Munster Skaters Palace on June 30th, the day before the main festival. "Warmups and stretches are elementary for every athlete" after all, and we couldn't agree more. 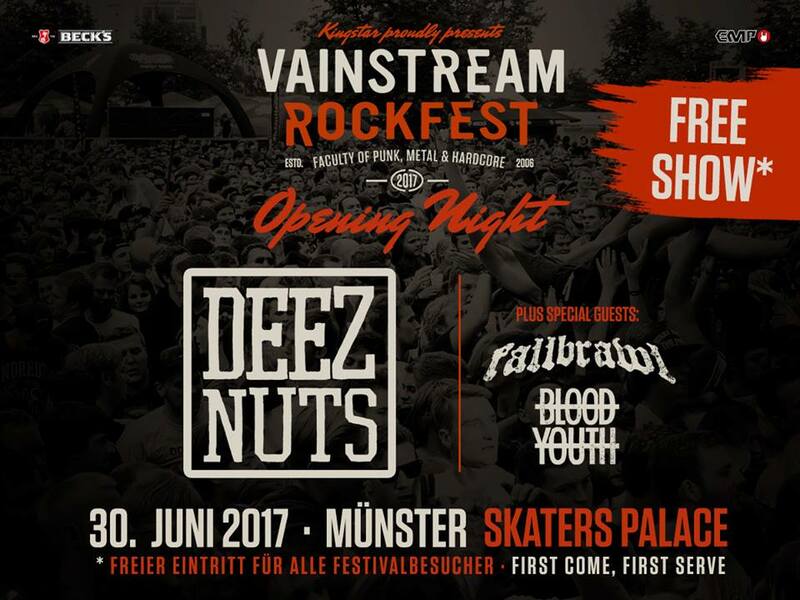 This year, the lineup consists of Deez Nuts, Fullbrawl and Blood Youth. The show is free for all holders of a Vainstream ticket (as is public transportation on the days of the shows); however, capacity is limited, so first come-first serve.